Americans spend more than $340 billion a year on clothes and shoes. Unfortunately for American factory workers, almost all of that money heads directly overseas. That's the upshot of a story that appeared in The New York Times recently. Data from the American Apparel and Footwear Association confirm that we spend nearly a third of a trillion dollars a year to keep ourselves clothed and shod. But when given a choice between buying a cheaply made product from China, Vietnam or Bangladesh, or a higher-quality, somewhat pricier product "Made in the USA," shoppers almost to a man -- and woman -- choose to pinch pennies and buy the foreign product. A poll conducted by the Times earlier this year had 46 percent of Americans saying that if given a choice between buying an item of clothing for $50, or paying $55 or even $70 for a similar item with a Made in the USA label, they'd buy American. And not just out of patriotism, either. 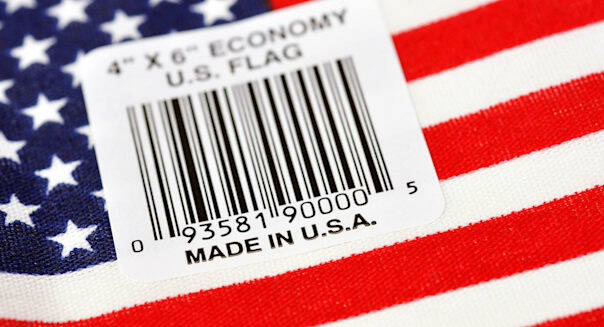 It turns out that "Made in the USA" means "better quality" to consumers. In the Times poll, a majority of shoppers -- 56 percent or more -- agreed with the statement that "American-made products have higher quality than imports." Manufacturers recognize the sentiment, and play to it in their advertising. That's why L.L.Bean, for example, proudly declares that the canvas bags it sells are "made by us here in Maine from practically indestructible cotton canvas." That sounds like smart marketing. After all, if consumers say they're willing to pay more for good quality, and if they agree that American-made is synonymous with good quality, then it stands to reason that American-made goods should sell well, even at higher prices. That theory works great, right up until the moment shoppers see the price tag. Lamenting today's disposable, wear-it-a-day-then-throw-it-away culture, industry researcher NPD warns that "in many cases the [foreign version of an American-made product] does not have the same, higher level of standards that we saw in earlier years ... [because foreign manufacturers] take things out to keep the price the same." In the Times' examples, the price differential between an American-made product and a foreign analog ranges from 27 percent (the Brooks Brothers coats) to 120 percent (that stylin' A&F sweater). In the Amazon examples, the range is a bit tighter, but the difference in prices is still substantial -- from 70 percent for the shoe to 80 percent for the belt. And the cost to drape yourself in an American flag that was actually "Made in the USA" is 78 percent more than for imported stars and bars. %VIRTUAL-article-sponsoredlinks%Incidentally, that's right in the range quoted by specialists in the Made in the USA trade. Remember "The All-American Store?" We wrote about this Ohio-based retailer, which stocks its shelves 98 percent full of only Made in the USA merchandise, early last year. Back then, store managing member Mike Petro estimated that most Made in America merchandise costs 50 percent to 100 percent more than similar-looking foreign-made products. This price differential may be shrinking, though. Over the past decade, labor costs in China have increased at an average rate of 12 percent annually, even as the increasing strength of the country's currency, the yuan, has made Chinese goods more expensive. With rising labor costs in China, an appreciating yuan, and the high price of shipping goods internationally, consulting firm AlixPartners estimates that within just two years, foreign manufacturers' pricing advantage may disappear. Indeed, knit-goods manufacturer Keff NYC estimates that already today, retail prices of U.S.-made goods need only be 20 percent or so higher than the rates for foreign-made goods. Perhaps one day soon, those "46 percent of Americans" who say they'd happily pay $60 for a $50 sweatshirt -- so long as it's got the Made in the USA label attached to it -- will get a chance to put their money where their mouths are. Motley Fool contributor Rich Smith owns shares of Abercrombie & Fitch Co. The Motley Fool recommends and owns shares of Amazon.com.